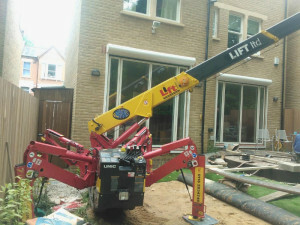 A traditional crane probably isn’t the first tool you think of to get lifting work done in your back yard, but a mini-crane is actually the perfect equipment for almost any job. Want to to lift in a new hot tub on your deck, move a shed, or assemble a glass enclosure in your back yard? Think mini-cranes. Because of their narrow width (this one pictured below is just 24 inches wide) and low ground pressure weight, they can be driven through a small gate or along an existing sidewalk without fear of damaging the surface. This Spydercrane fits easily in this small space, lifting the top of the glass enclosure with ease. 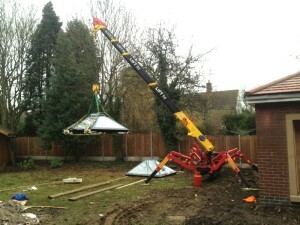 Spydercrane mini-cranes allow for all sorts of new project possibilities for back yard construction and landscaping. 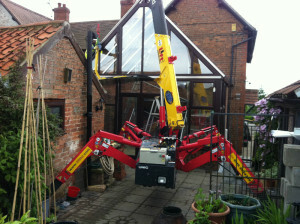 Check out Spydercrane in this small yard. 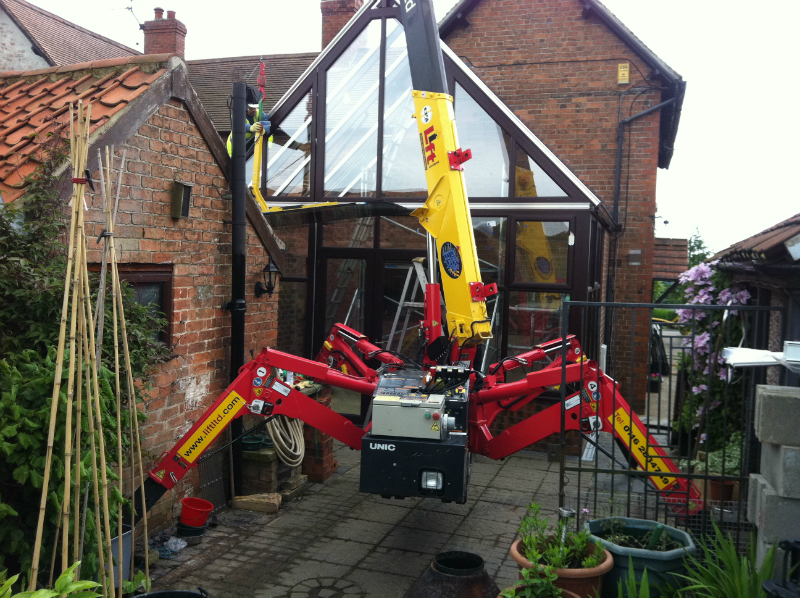 It’s able to lift and move materials with ease – to make your back yard project faster and easier.